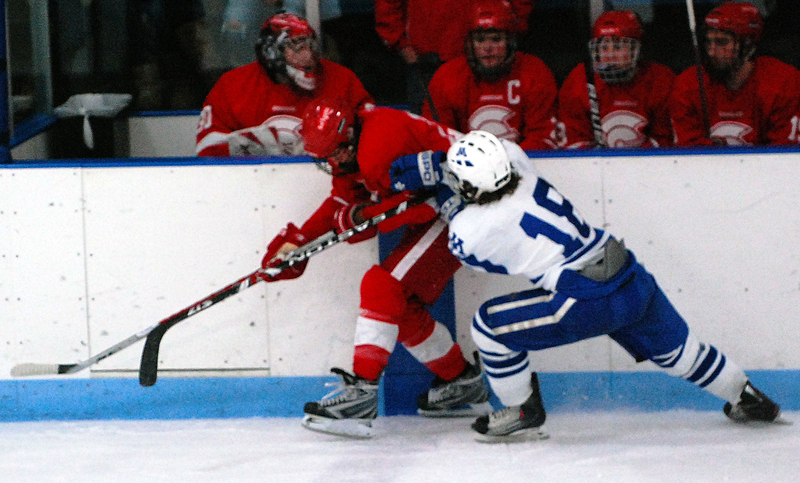 Trailing by two goals in the third period against the state’s No. 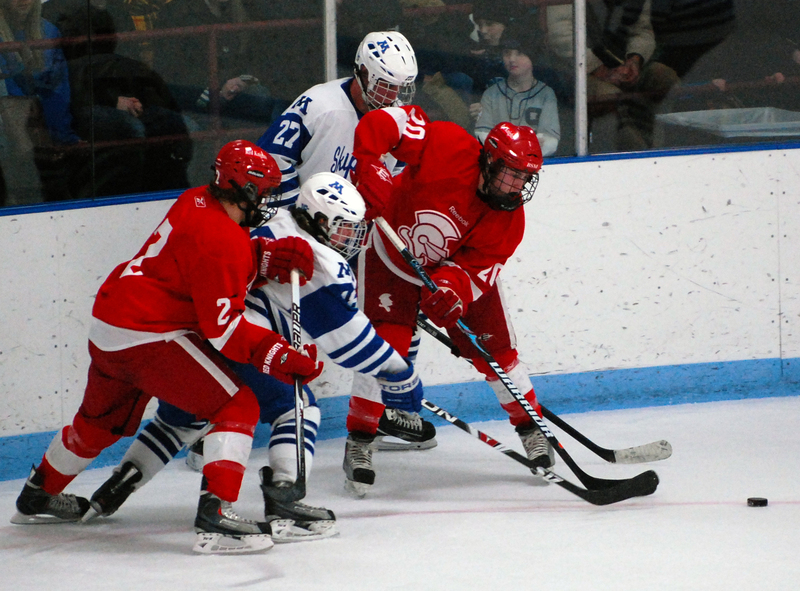 1-ranked team, it would be an understatement to say Benilde-St. Margaret’s was in desperate need for something good to happen. 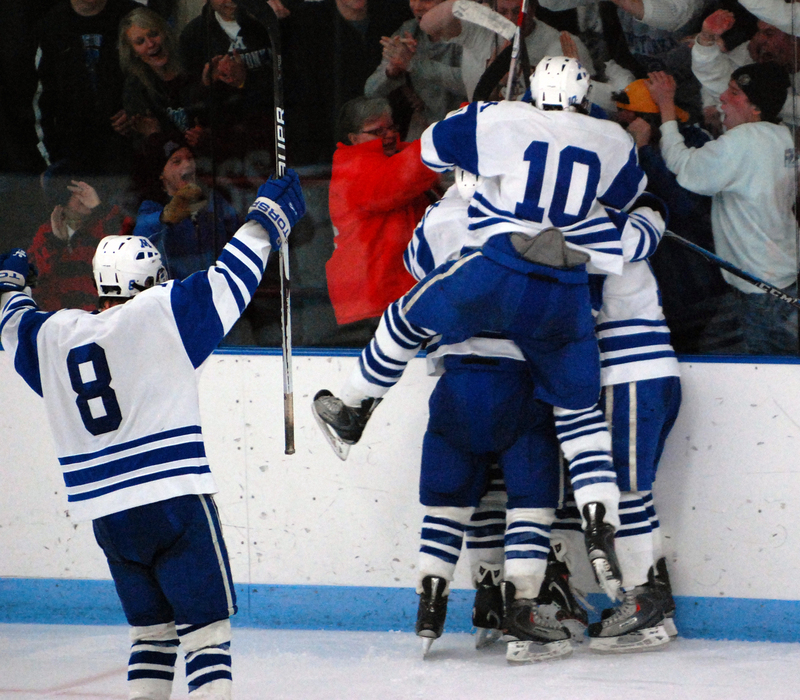 To get a bounce. 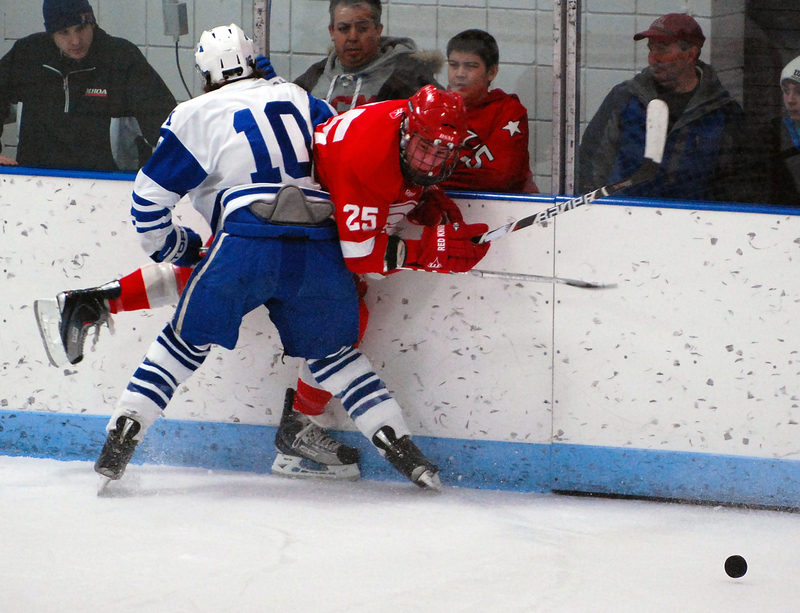 To catch a break. 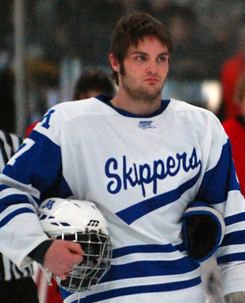 To go on a five-minute power play? 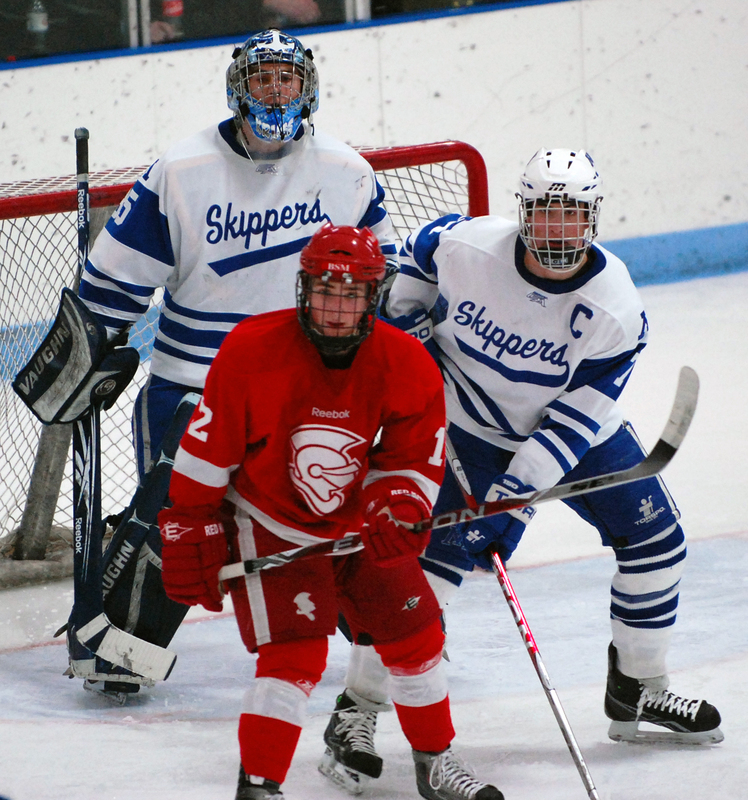 When the Skippers’ Connor Ryan received a five-minute major penalty for checking from behind early in the third period, the No. 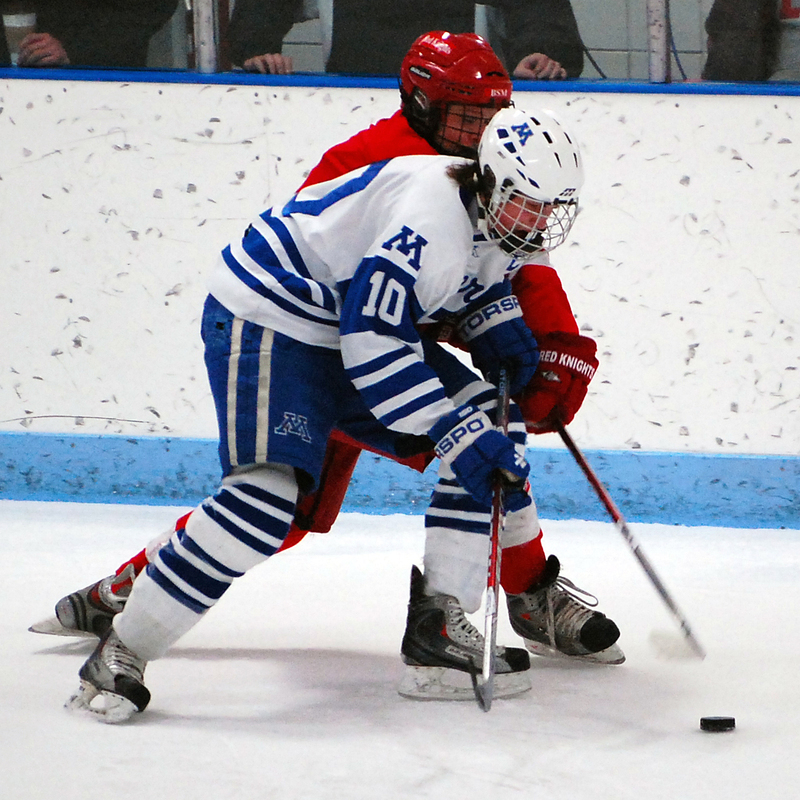 4-seeded Red Knights (17-7-3) couldn’t have scripted a better opportunity to climb back into their Section 6AA semifinal showdown with No. 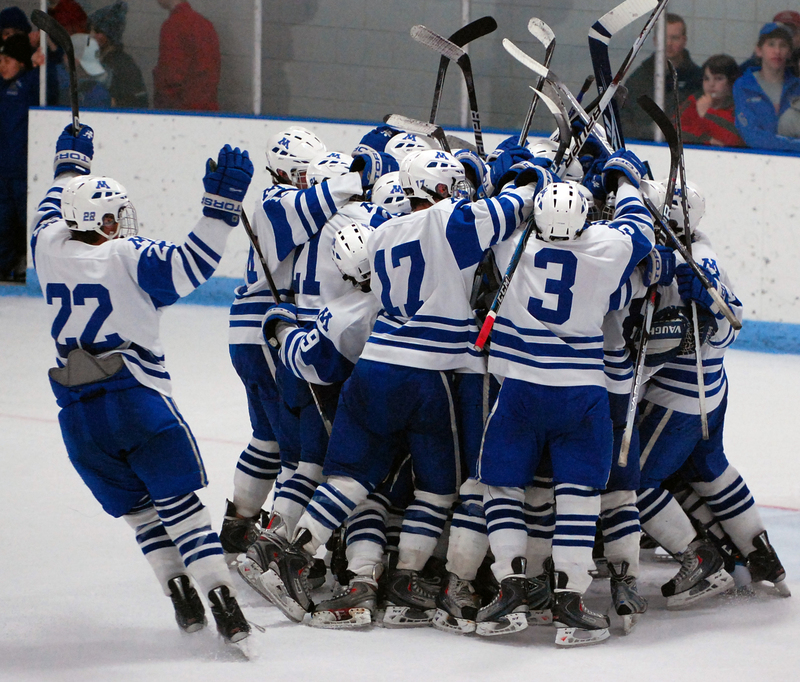 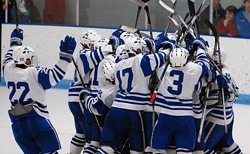 1-seeded Minnetonka (24-1-2) on Saturday, Feb. 27, at a standing-room-only Bloomington Ice Garden. 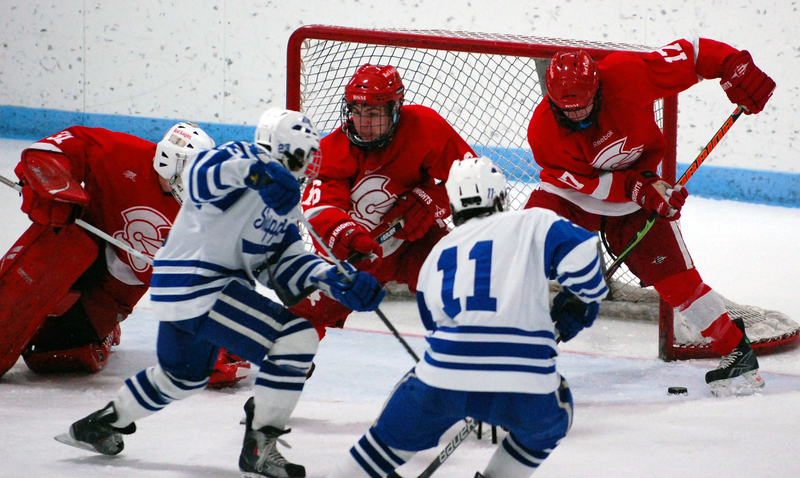 One of the state’s most skilled teams, the Red Knights were out of synch for most of their power play and generated precious few good chances in an eventual 3-1 loss that sends Minnetonka to a section championship showdown on Wednesday at the Target Center with defending state champion Eden Prairie. 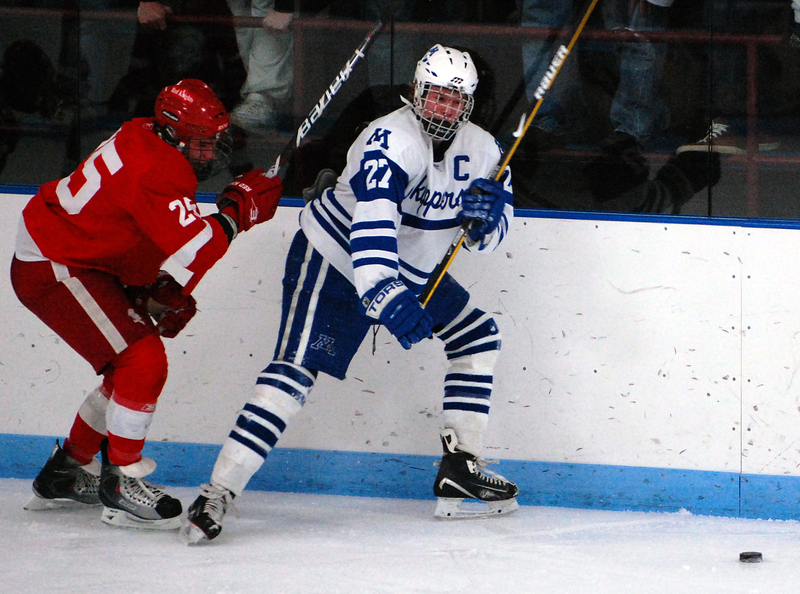 Frawley wasn’t among Minnetonka’s penalty killing forwards. 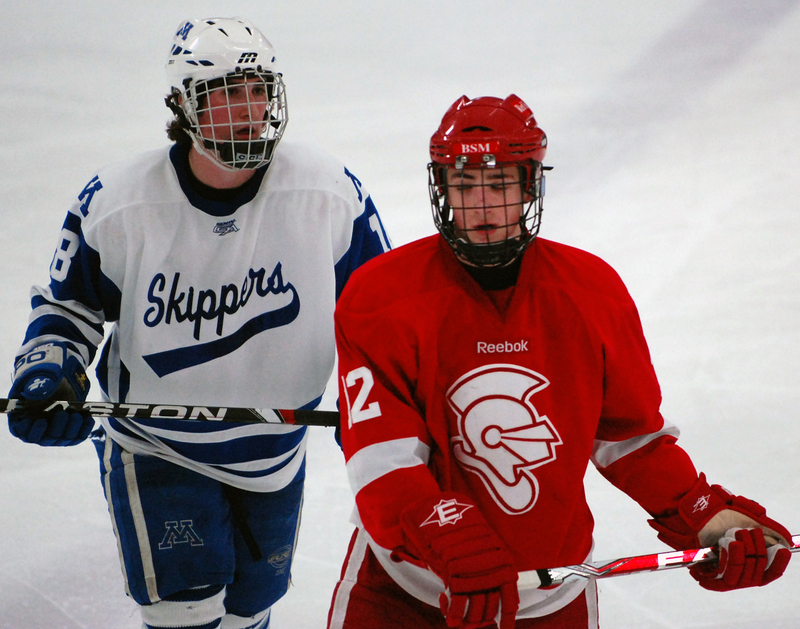 Those duties went to Max Gardiner and partner Max Coatta on one unit and Thomas Schutt and Sam Rothstein on the other. 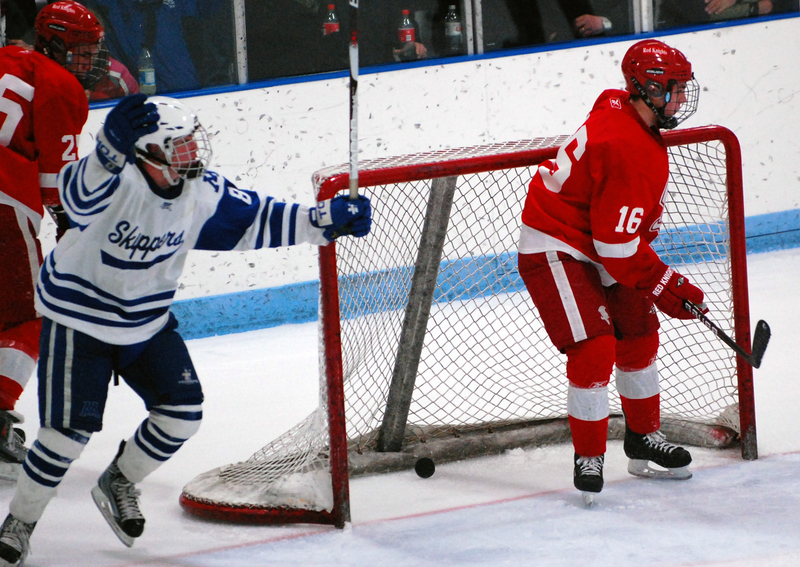 Still, the high-revving Frawley had as big an impact as any player, scoring a second-period goal that put the Skippers up 2-0 then setting up Gardiner for an easy goal on a power play late in the third. 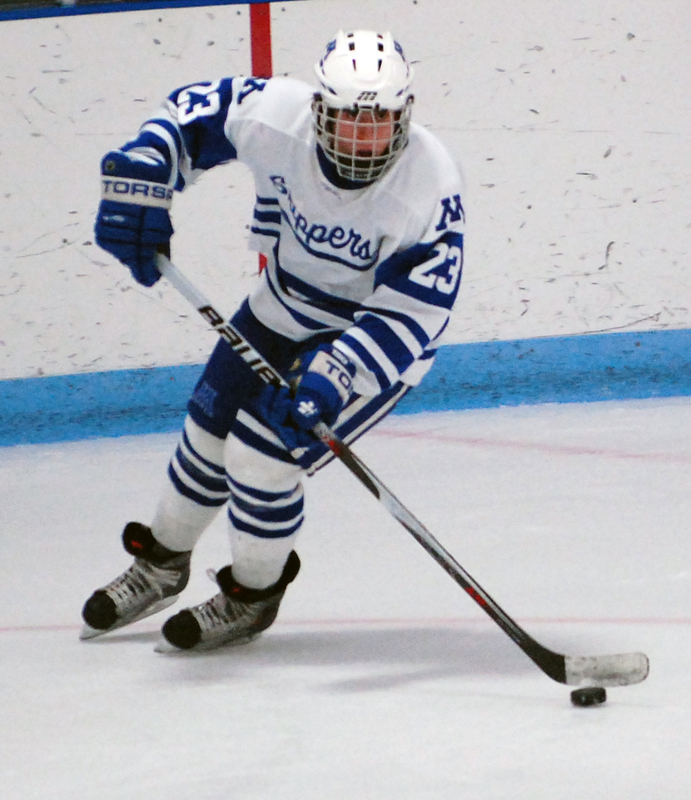 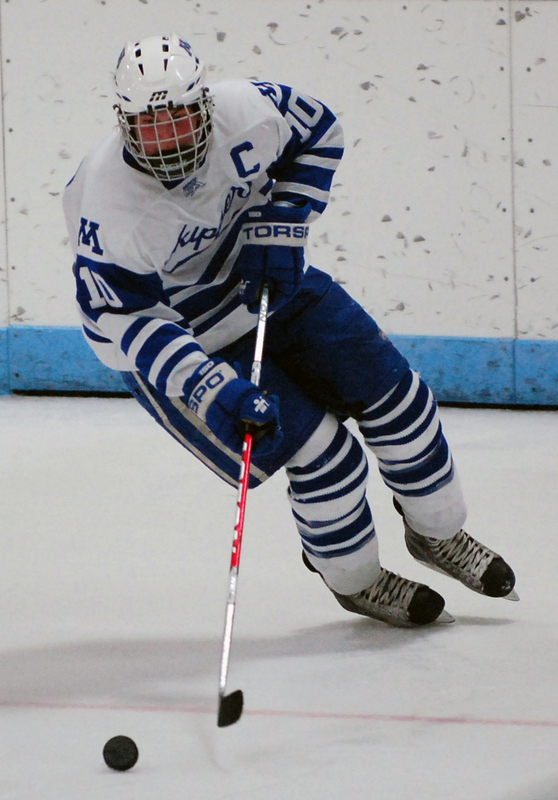 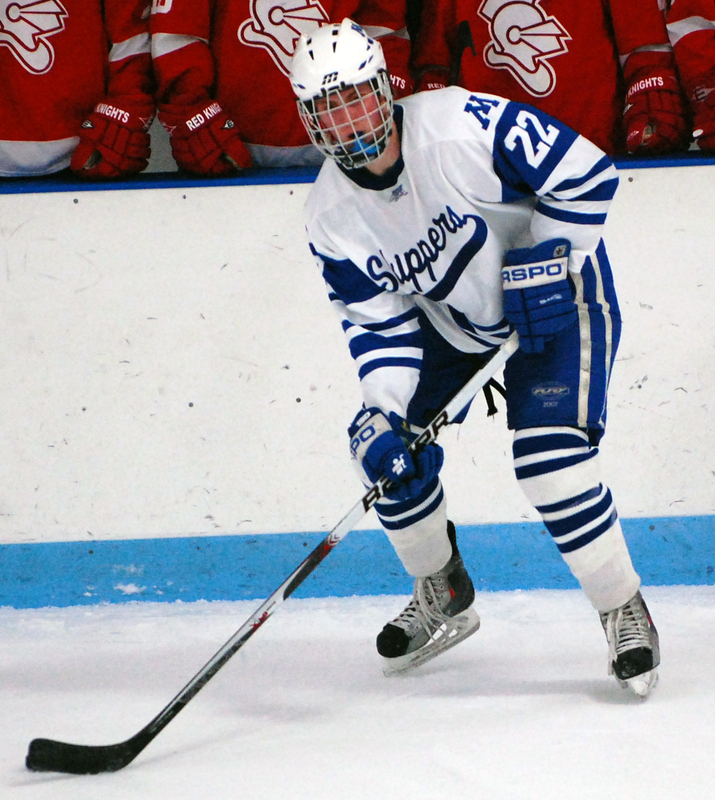 Frawley scored 44 points during the regular season to lead the Skippers, a noteworthy accomplishment given the Minnetonka’s loaded lineup of scoring stars. 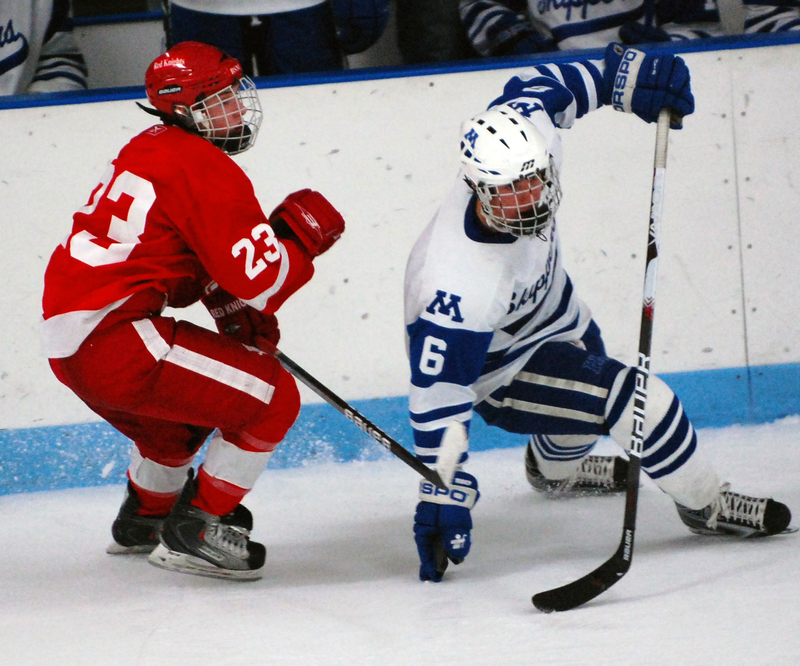 On his goal against the Red Knights, he took a pass at center ice and flew into the Benilde-St. Margaret’s zone, gaining a step on a Red Knights' defenseman and unloading a shot that snuck between goaltender Jacob Meyers legs. 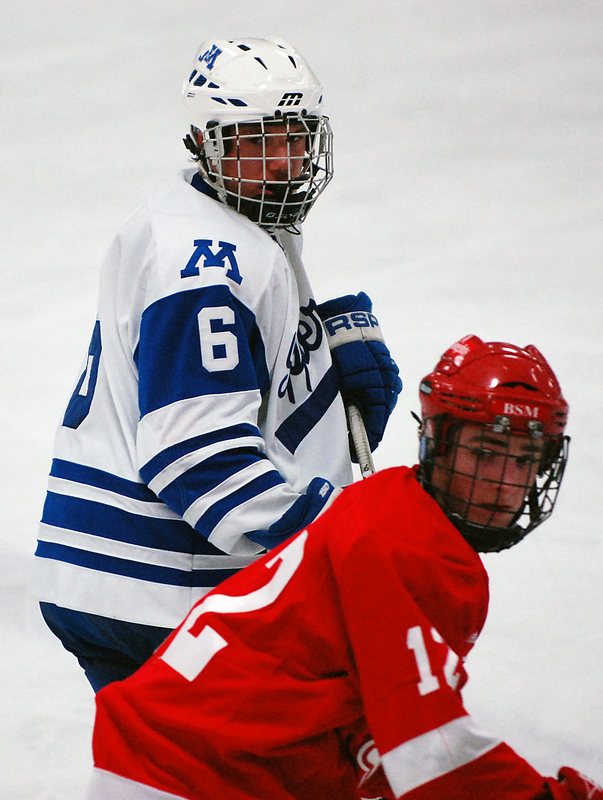 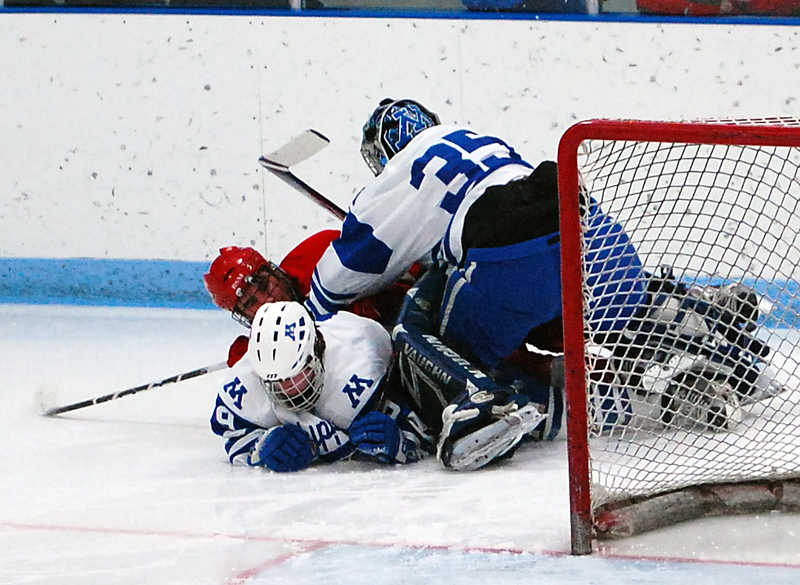 Frawley’s goal revved up a Minnetonka offense that looked tentative in a scoreless first period. 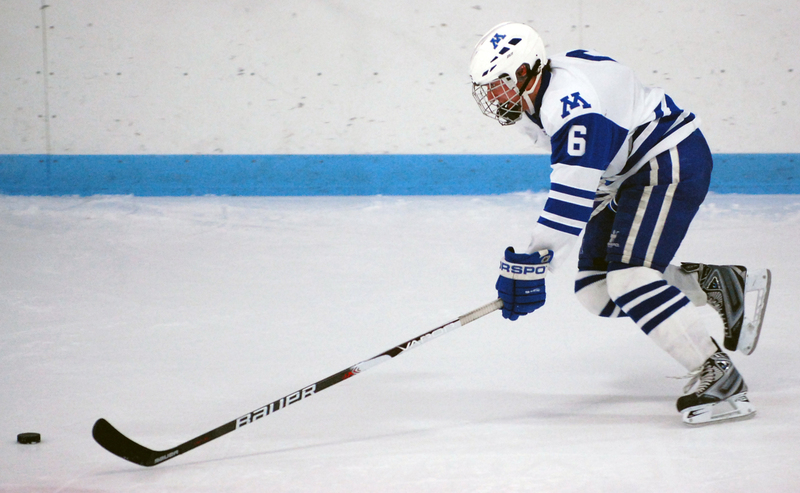 “It was a huge momentum shift; that’s mainly what got us going,” Minnetonka senior Troy Heskeith said, “and with that momentum we don’t stop. 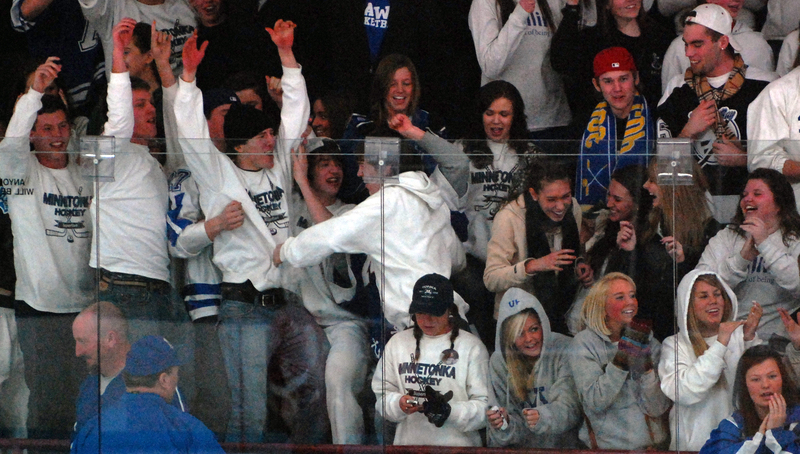 That’s our mentality. 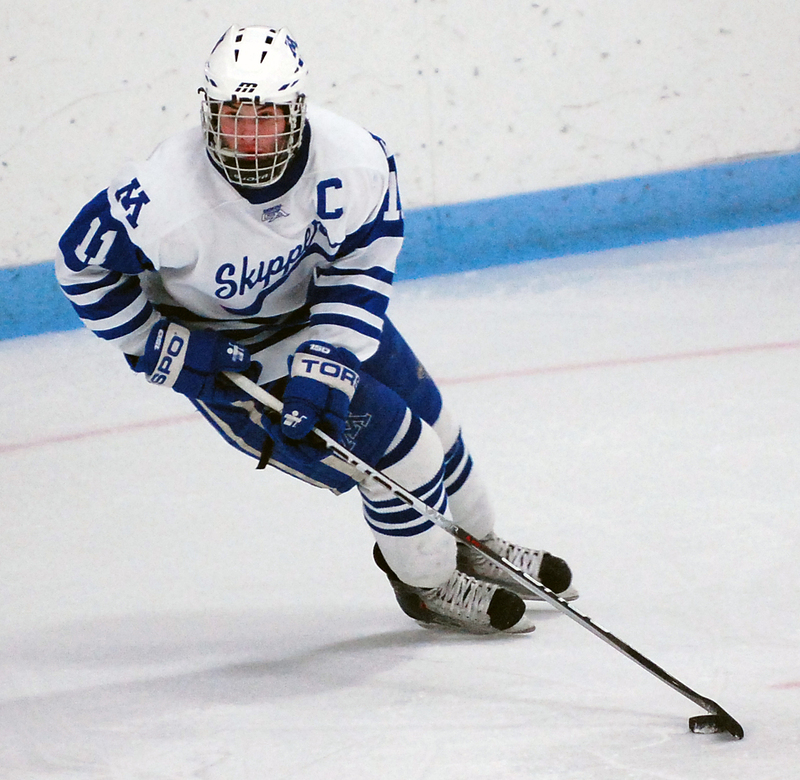 Hesketh was referencing the Skippers’ lone loss this season, a 5-4 overtime setback to Edina. 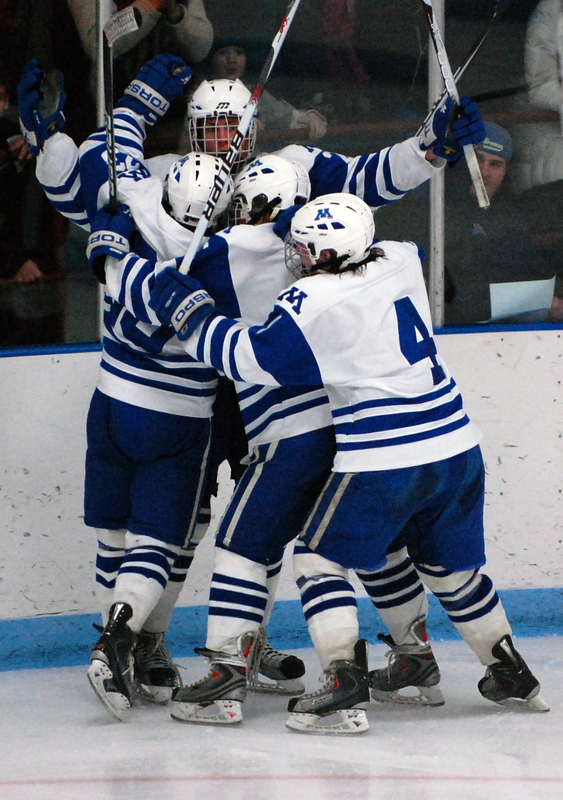 Minnetonka was leading the Hornets 4-0 after the first period. 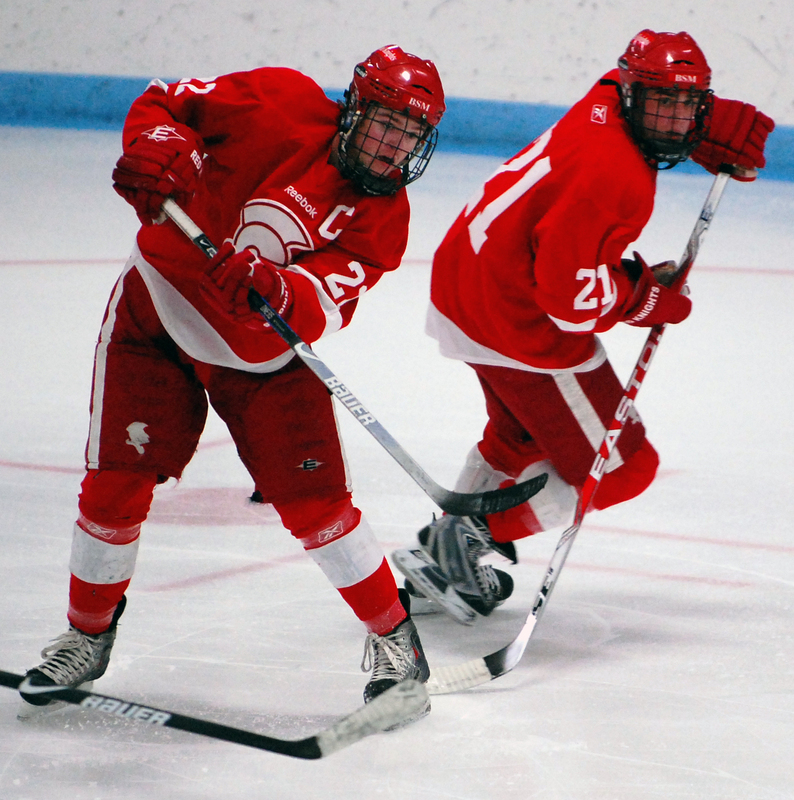 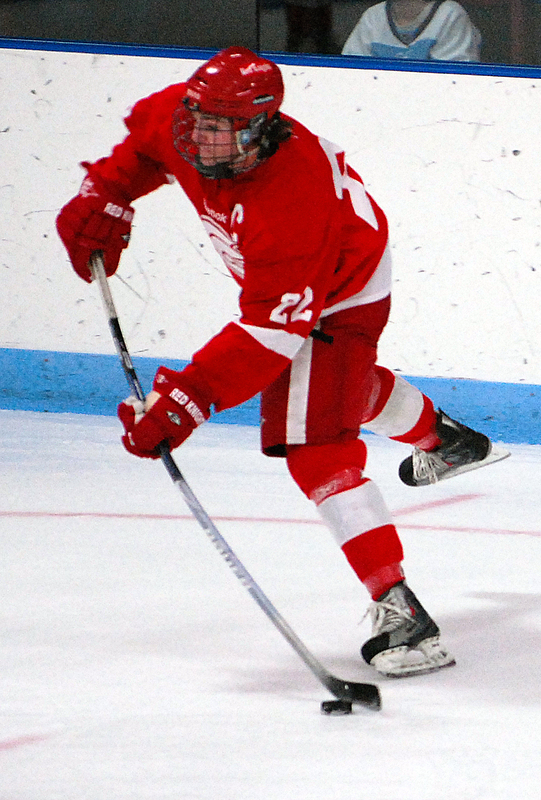 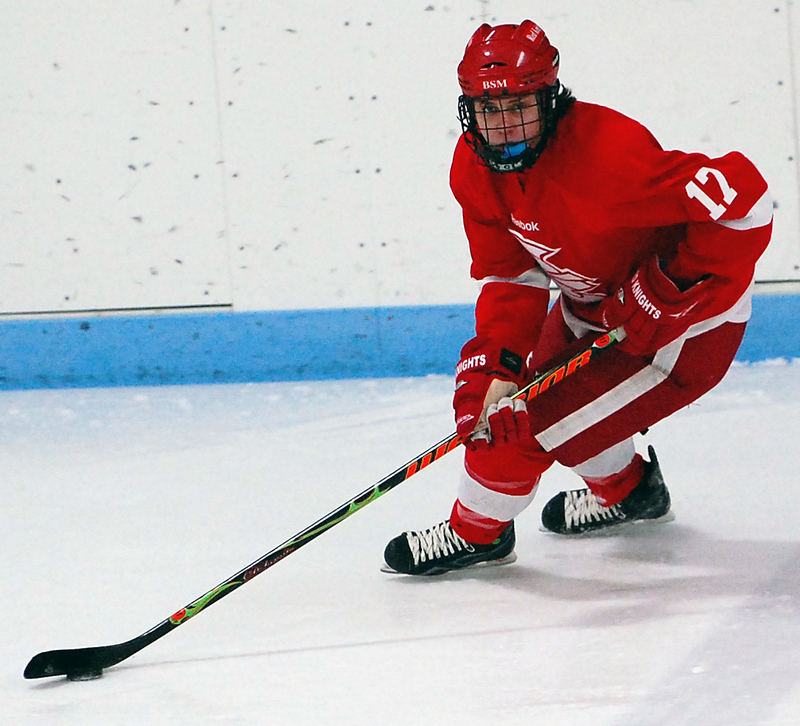 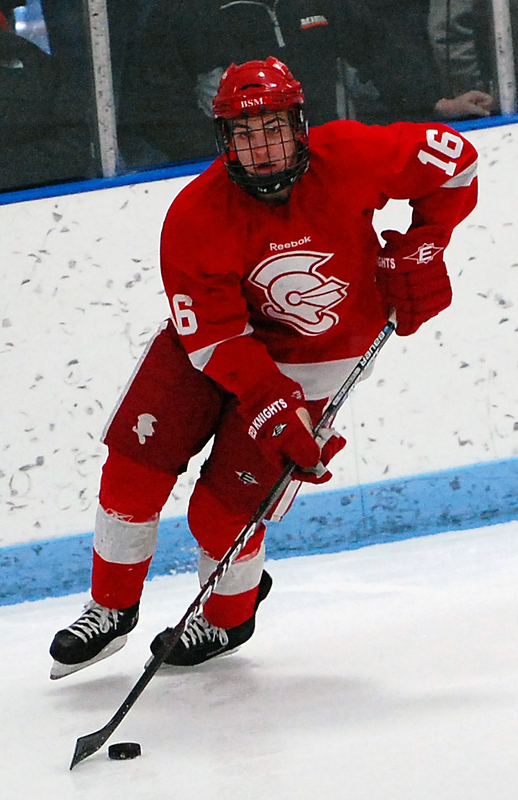 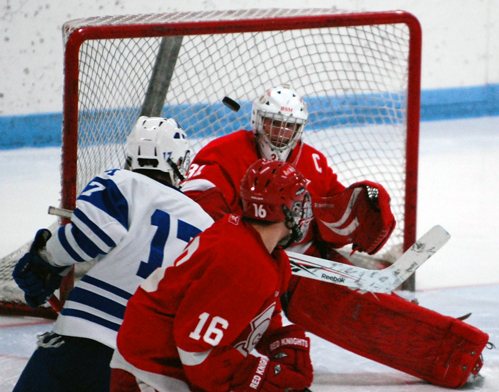 Gardiner’s goal all but assured the Red Knights would not mount and Edina-like comeback. 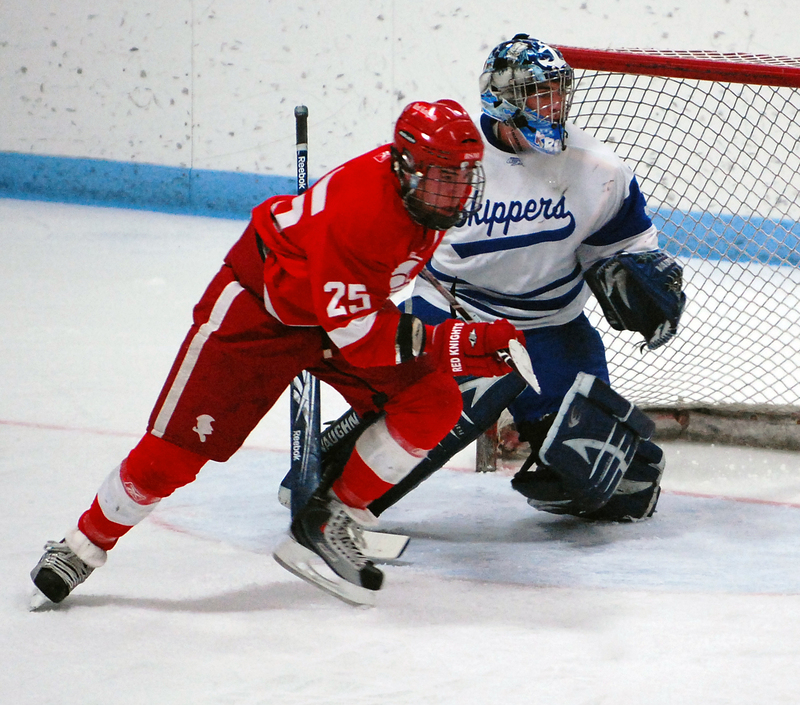 Frawley did the bulk of the work, lifting his pass through the crease and over a defensman’s stick. 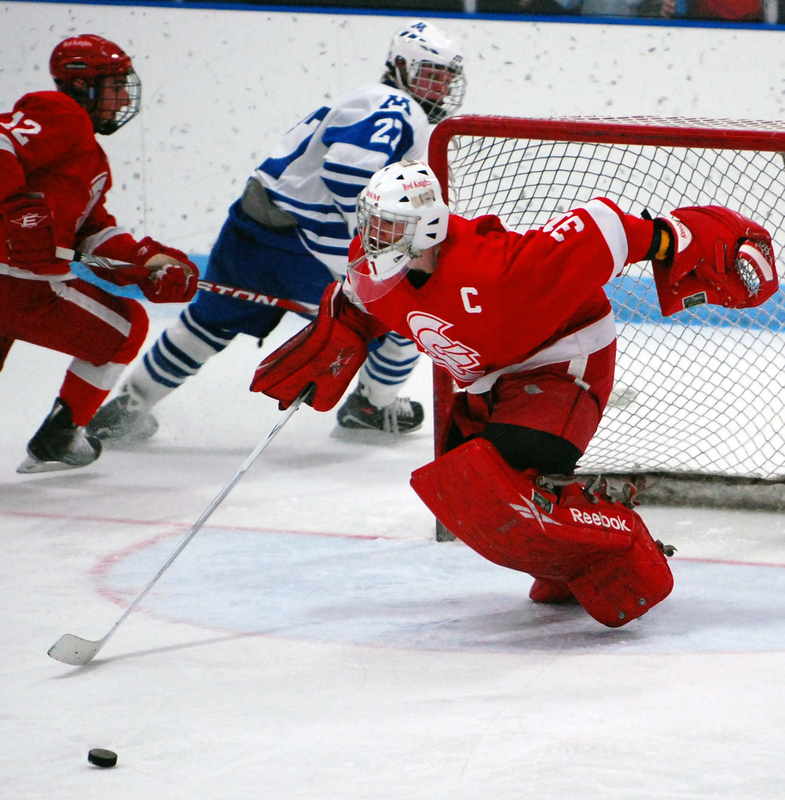 Gardiner, standing alone to the right of the goal, merely needed to slam the puck into an empty net. 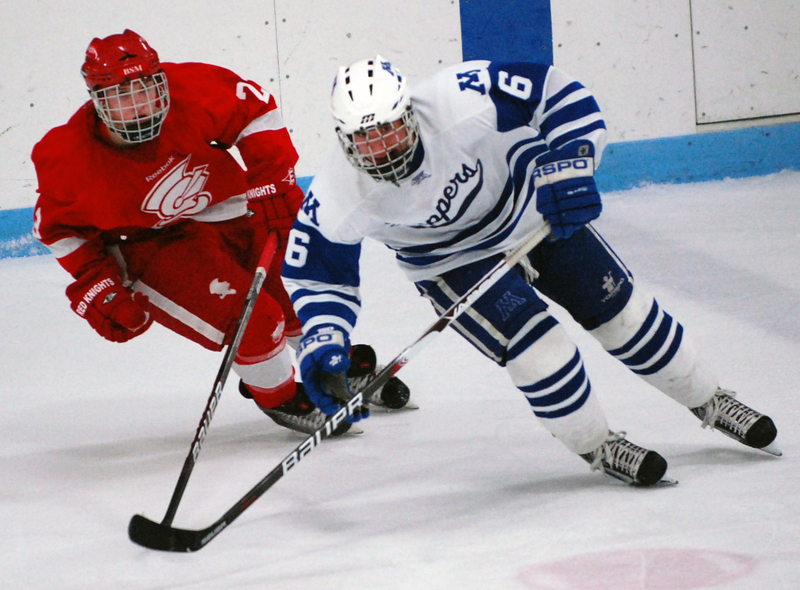 “I didn’t do much on the goal,” said Gardiner, a Minnesota recruit and Mr. Hockey finalist. 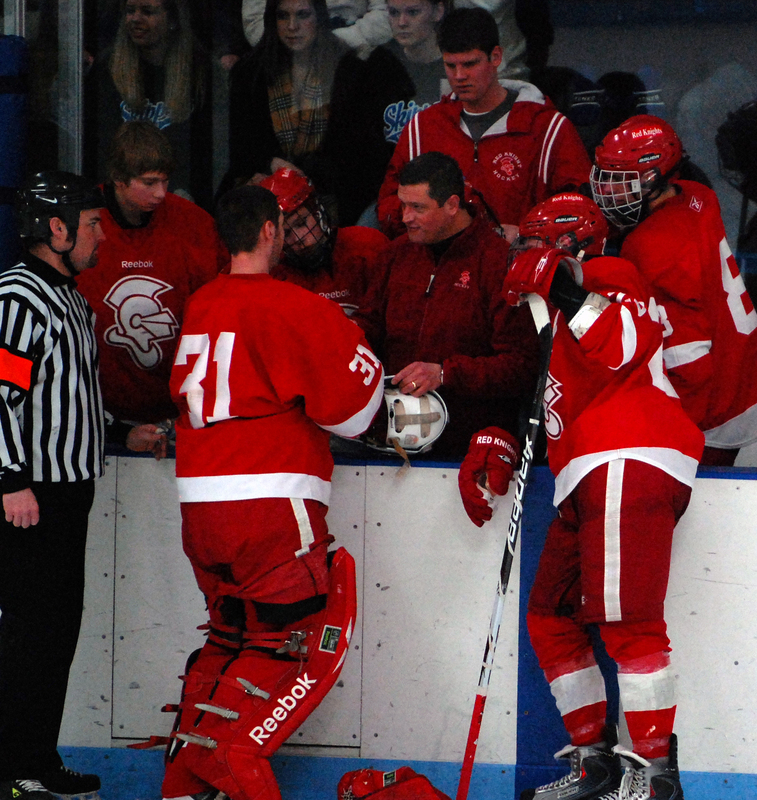 “That was a really nice pass. 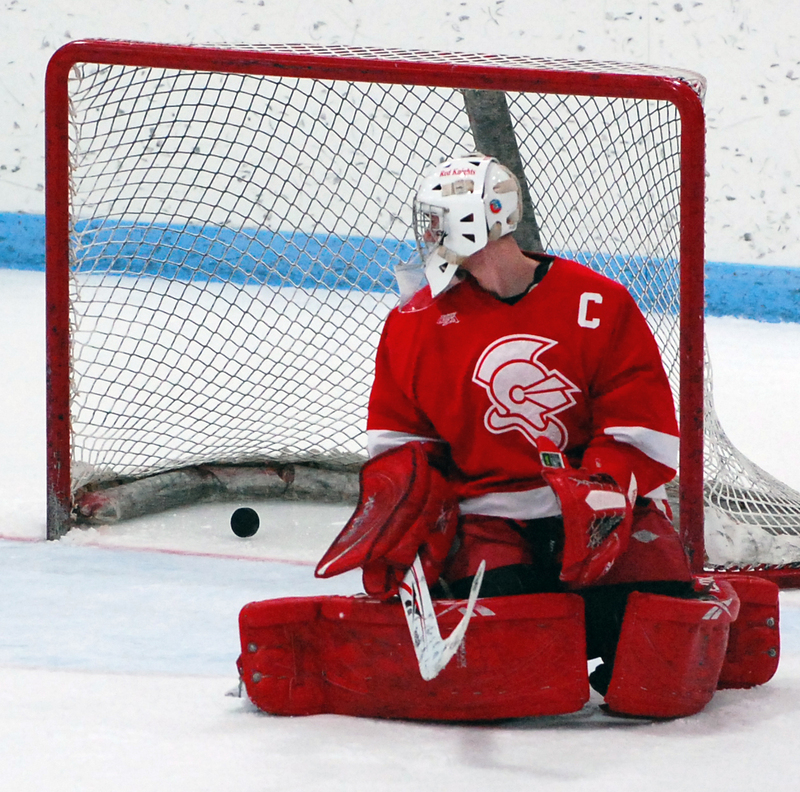 Junior (pictured below) scored what proved to be the game-winner in the second period, drilling a shot that snuck through Benilde-St. Margaret's goaltender Jacob Meyers' leg pads. 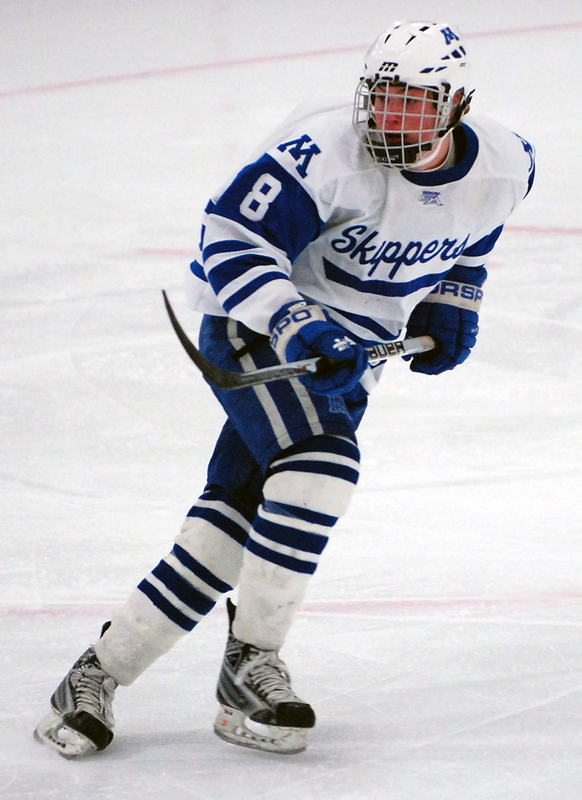 Frawley also made a gorgeous cross-crease pass to Max Gardiner for an easy power play goal that put the Skippers ahead 3-0 in the third period. 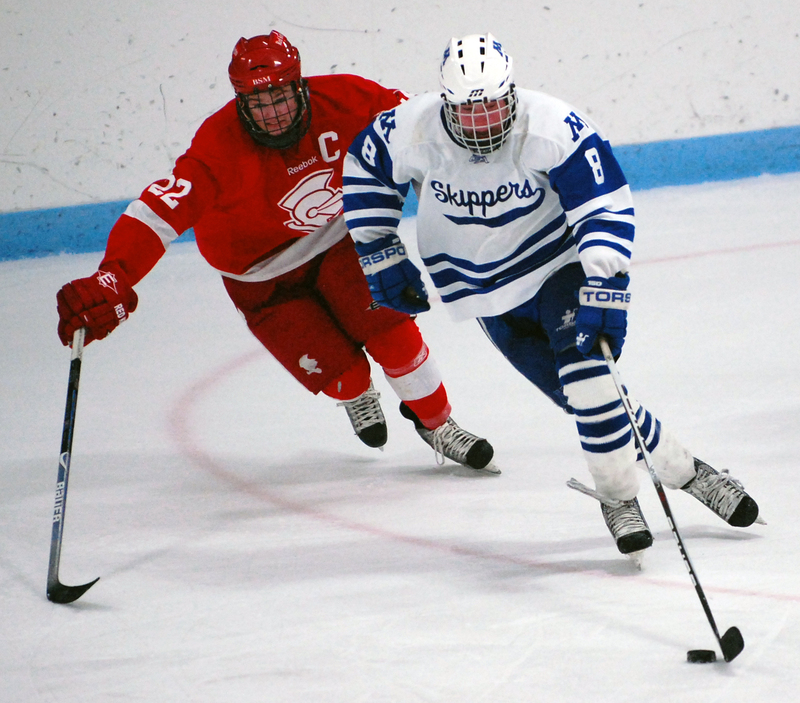 Senior Mr. Hockey finalist scored a goal and was big part of Skippers' penalty killing unit that shut down a five-minute Red Knights' power play in the third period. 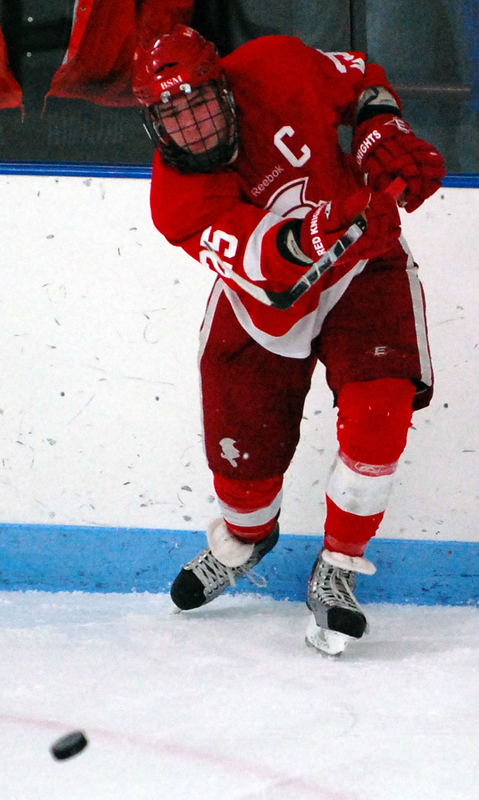 Junior forward scored late in the third period to pull the Red Knights to within 3-1 and give them one last adrenalin rush. 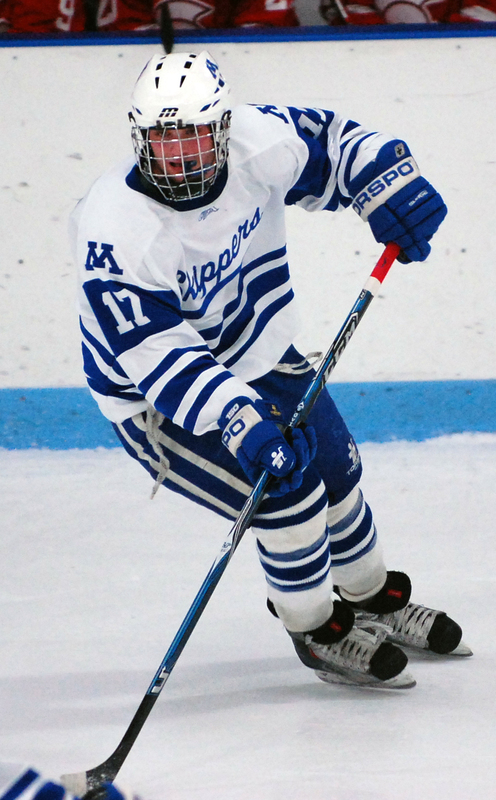 He also created several more good scoring chances with his quickness and tenacity.